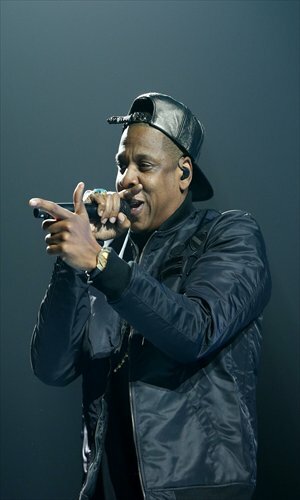 Veteran rapper Jay-Z topped nominees for the 2014 Grammys announced Friday with nine nods, while Taylor Swift and Daft Punk were also among those in the running in major categories. But Jay-Z and other major stars including Justin Timberlake failed to score any nominations in the major categories, which saw a mixture of rap and pop in the running for the top honors. In second place with seven nods apiece were California hip hop star Kendrick Lamar and rapper-producer duo Macklemore & Ryan Lewis, as well as Justin Timberlake and Pharrell Williams. The nominees in key categories were announced during a concert at the Nokia Theatre in Los Angeles. The final ceremony will take place January 26. "This year's nominations reflect the talented community of music makers who represent some of the highest levels of excellence and artistry of the year in their respective fields," said Neil Portnow, head of Grammys organizers The Recording Academy. In the coveted Record of the Year category songstress Swift's Red will compete with French electro duo Daft Punk's Random Access Memories, Macklemore & Ryan Lewis's The Heist, Lamar's Good Kid, M.A.A.D City and Sara Bareilles' The Blessed Unrest. Record Of The Year candidates are Daft Punk and Williams' "Get Lucky," New Zealand teenager Lorde's "Royals," "Radioactive" by Imagine Dragons, Bruno Mars' "Locked Out Of Heaven" and Robin Thicke's "Blurred Lines." While big-hitters Jay-Z and Timberlake scored lots of nods, they were mostly in rap and pop/R&B categories. Neither the rapper's heavily marketed Magna Carta ... Holy Grail, nor Timberlake's The 20/20 Experience made it into the Best Album list.